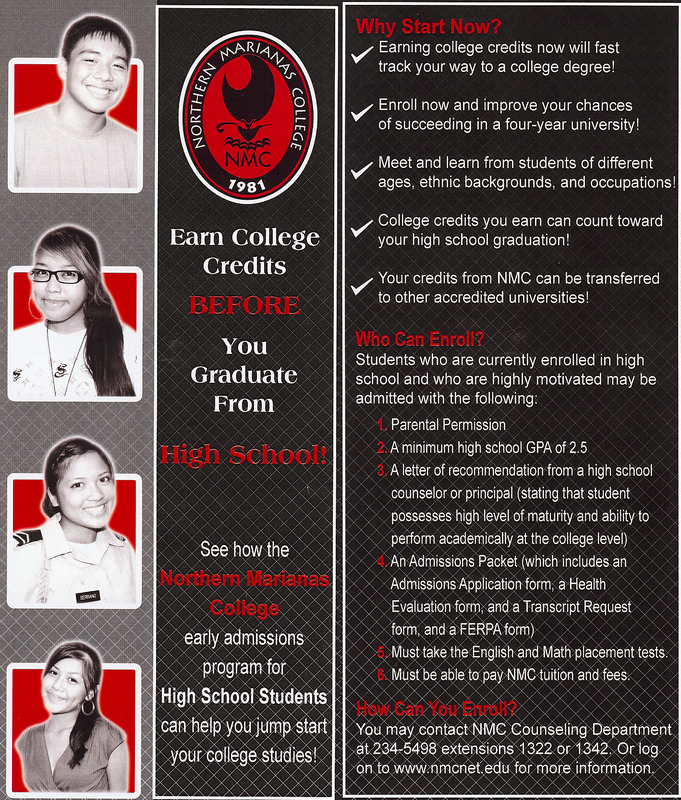 The Northern Marianas College's Early Admission Program empowers current high school students to earn college credits and jump start their college studies prior to graduating from high school. High school students who have confidently demonstrated strong academic performance”�in addition to personal and social maturity -are invited to apply. The program is limited to students who have reached the age of 15 prior to the start of the semester for which they wish to enroll. Any student who has not completed high school and would like to take a course(s) at the Northern Marianas College is considered an early admission student. For more information, contact Counseling Programs and Services (670) 237-6775. To download the Early Admission Program flyer, click here.